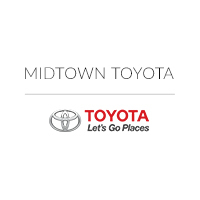 When you need a car that is safe with a lot of staying power, look no further than Midtown Toyota. Your Toyota dealer in Chicago, IL, stocks new Toyota cars of all body styles and sizes. If you are in the market for a vehicle that can go the extra mile and carry large loads, check out the Toyota trucks at our Toyota dealership near Oak Park. If you are unfamiliar with the towing capabilities and features of a vehicle, we have created a useful guide on important terms to learn. Axle Ratio: This is the ratio between the driveshaft rotation and the axle shaft rotation. Depending on the trim you choose, the 2019 Toyota Tundra has a ratio of 3.91:1 or 4.30:1. Regarding the 3.91:1 axle ratio, the driveshaft will rotate 3.91 times for each rotation of the wheel. It is critical in the operation of the axle system, which transmits engine torque to the driving wheels. GAWR: Gross Axle Weight Rating is the maximum distributed weight that may be supported by one axle on the vehicle. The rear axle rating is slightly higher to accommodate payload. GCWR: Gross Combined Weight Rating is the maximum allowable rate of the truck and loaded trailer that the vehicle can handle without risking damage. Payload Capacity: This is the maximum allowable weight that can be placed in or on the vehicle, which includes options, cargo, and passengers. Towing Capacity: This refers to the maximum weight your vehicle is about to pull behind it. The Toyota Tundra can tow over 10,000 pounds. Trailer-sway Control: This feature can tell you when your vehicle sways from side to side. It is designed to lessen the swaying by managing engine power and braking force between individual wheels. As you can tell, the Toyota Tundra is well-equipped for towing in many aspects. 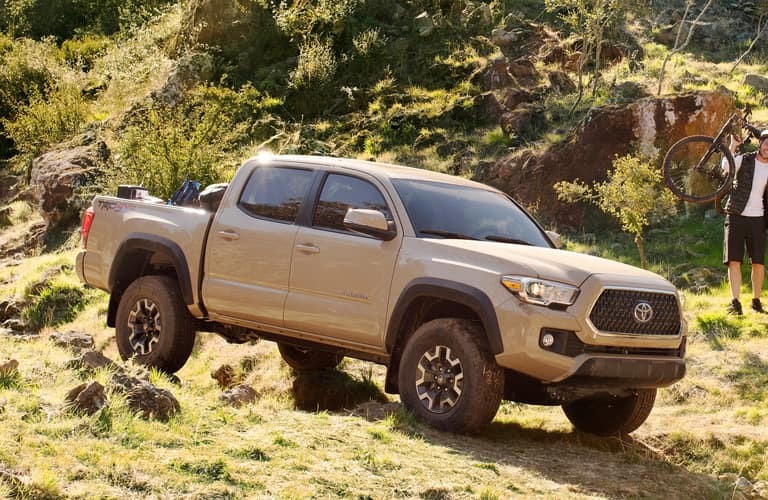 If you are looking for a truck that is smaller and can handle off-roading, consider the 2019 Toyota Tacoma. The Toyota Tacoma can manage a maximum towing capacity of up to 6,400 pounds. The GCWR is substantial at 11,360 pounds and the payload capacity comes pretty close to the Toyota Tundra at 1,175 pounds. This pickup has the power to take you on your many adventures, including available mudguards on the Toyota Tacoma TRD Off-Road and Toyota Tacoma Limited trims. Experience what it is like to be behind the wheel of some great vehicles when you visit your Chicagoland Toyota dealer. We will be happy to help you choose a car that best fits your needs and make sure that you go on a test drive to see how it feels. For any questions about hauling or our current lineup of models, please contact us and we will get back to you soon.